Uber has begun taking cash payments in India, a first among its mainstream services, whose primary mode of payment has been credit cards or prepaid debit cards. The new service allows riders using UberGO, uberX and UberSUV to pay with cash. The service has previously accepted cash payments with its recently launched UberAuto service targeting rick-shaws. The company described the project as an experiment in a part of the world where consumers prefer cash payments. Uber has a presence in over 300 cities and has avoided taking cash primarily because with cash it cannot enforce percentage-based commissions on cash transactions which it offers to its partners and because Uber’s main selling point was its non-cash based model. To be part of the Uber experiment, Users will Open up the app, go to the payment section on the left corner. Users will then select cash as the payment option and then proceed to request for a ride. Before alighting from the ride, the users will pay the amount shown directly to the driver with no option of bargaining. Uber integrated Paytm wallet service into payment options in India though customers need not have cash in the wallet while using the service. The experiment is interesting for developing economies like Kenya and Nigeria, which have little adoption of credit card services. 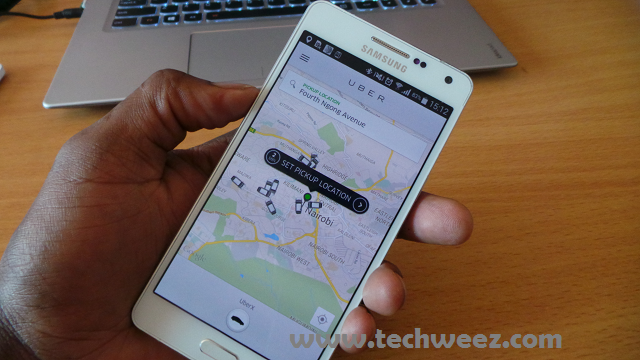 Uber is planning to introduce payment options via M-pesa this month, a fete delayed by Safaricom’s upgrade of M-pesa.